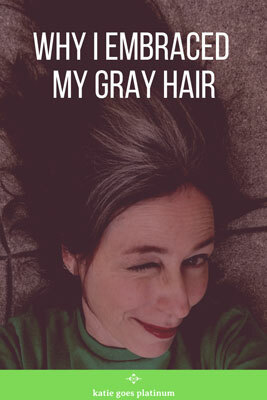 I found my first gray hair at 16, and was utterly horrified. I had beautiful dark brown hair, and my brunette identity was important to me, since I was growing up in Grand Rapids, Michigan where brunettes were practically a minority! At the young age of 16, I couldn’t contemplate giving up my brunette identity. I just plucked out that gray hair, and continued to do so whenever a new one would pop up. When I went to college, in the mid-1980s, my friends and I took turns applying henna to each other’s hair, and I eventually graduated from that to dyeing my hair magenta and other fun colors. When I got married at age 25, I colored my hair occasionally…but by the age of 35, I was dyeing my hair frequently to cover the gray. 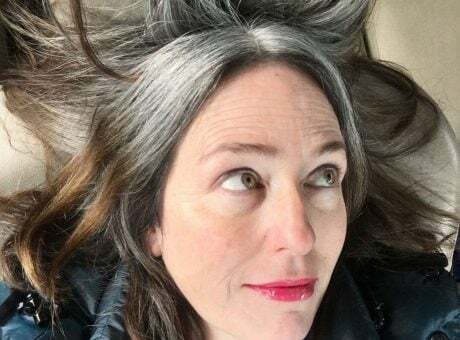 By the time I turned 50, my gray roots would show within a week of getting my color done, much to my chagrin. I bought gray cover-up powders and mascaras. I wasted hours at a salon, where the dyes would make me uncomfortably itchy…and when I had to save money, I would do it myself, sloppily and resentfully. And then, this past February, my roots started showing again. The thought of wasting 2-3 hours of my precious time in a salon chair became unbearable. I bought a box of hair dye and let it sit on my dresser for a month. I couldn’t stand one more minute of wasted time, and one more wasted dollar. I just couldn’t bring myself to waste one more minute on trying to conceal what we all know – I’m getting older. Deciding that I no longer cared to conceal that fact was life-changing. 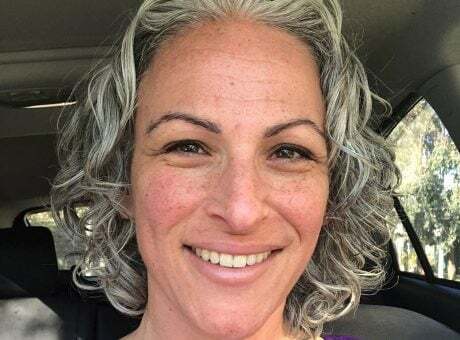 In the months since I decided to forego the dye and embrace my true age (and true hair color), I have felt more energized, creative and self-confident than I have in a long while. I’ve also found a community of like-minded women and embarked on a number of creative projects. I feel (and I think I look) younger and more alive! I know, I know: it’s “just hair”…. But it’s not! It’s so much more than that. It’s about being authentic and doing what feels right to you instead of what society dictates that you should do, as explained by my fellow silver sisters in this post. 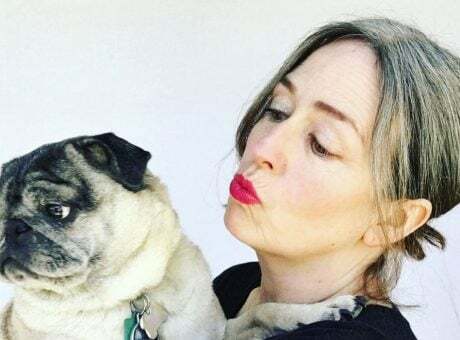 If you can relate to any of this, please subscribe to my blog and we can go through this silver hair transformation together! It’s not easy bucking societal norms, but we can do this…together! I’d love to hear from you in the comments – let me know if you are transitioning and how you feel! 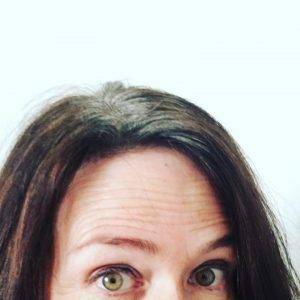 Tags: brunette, why go gray?